Finding myself at a loose end a couple of weeks ago, I took a stroll down to Burford meadow, a relatively small patch of land that encompasses a section of the River Windrush, as it meanders on its picturesque journey through the Cotswolds, before spilling into the Thames at Newbridge. The meadow was sporting a good crop of buttercups, and a handsome herd of cows, so it was no chore to spend an afternoon wandering over the boggy ground, amongst the fresh spring growth. I had taken my camera, but I wasn’t looking for any particular photographic opportunities, it just seemed very wrong not to have the reassuring weight across my shoulders, should something interesting present itself. As often happens though, once I’d got out the camera, my plans for a walk soon disintegrated, as, like a bemused toddler, I quickly became distracted by one thing after another. It’s very difficult in that frame of mind to look at any scene and not wonder if it could work through a lens. And as they say, the proof of the pudding is in the eating, so needless to say, I guzzled myself fit to burst. So here’s a collection of images taken that afternoon, as I wandered around this, at first glance, rather ordinary patch of land, which turned out to be so much more. Well, at least a little bit more, and that will do for me. processing, but sometimes it's fun to mess around a bit, and I like the effect. taken, hence this bovine scrum. I thought the striking green/yellow tones in this growth of reeds looked interesting. a few months ago that all this was completely under water. Another cow capture, I just couldn't resist this nosy young man. the front of the lens. I liked the unbroken texture of these reeds. It was nice to see big, rangy expanses of vegetation all around. 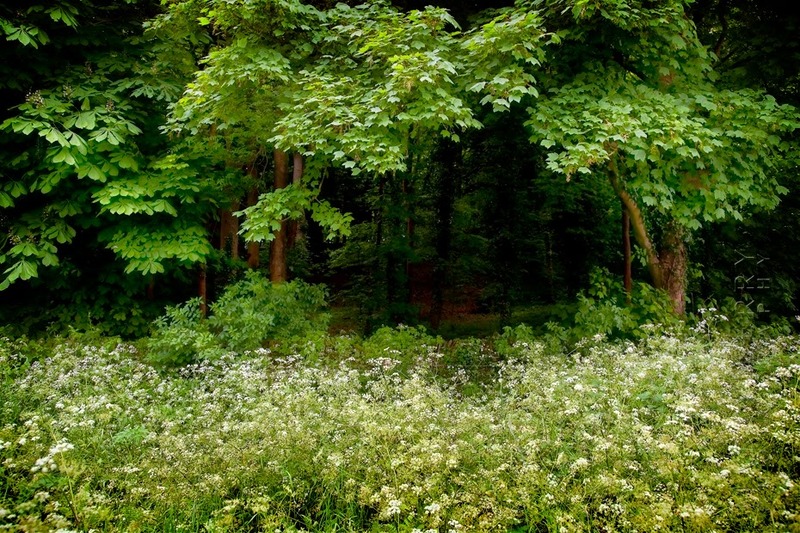 Coming to the edge of the meadow was a private woodland, bordered by billowy banks of cow parsley. A slightly unreal line of trees guarding the dark woods behind them. I got a couple of shots looking towards Burford. I thought this had a nice relaxed feel to it.